Aircel is the fourth telecom firm to wind up after billionaire Mukesh Ambani-led Reliance Jio debuted in September 2016, unleashing a disruptive price war in the sector with its free voice calls and dirt-cheap data. 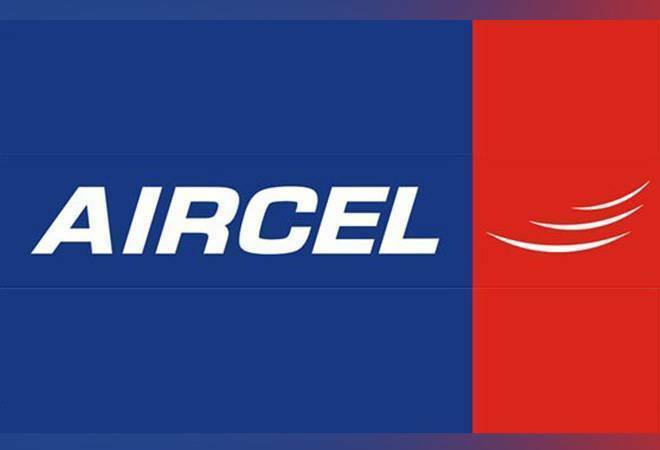 The country's sixth largest telecom operator Aircel along with its units - Aircel Cellular and Dishnet Wireless - on Wednesday filed for bankruptcy in the National Companies Law Tribunal (NCLT) in Mumbai due to fierce competition and high levels of debt. This is the fourth telecom firm to wind up after billionaire Mukesh Ambani-led Reliance Jio debuted in September 2016, unleashing a disruptive price war in the sector with its free voice calls and dirt-cheap data. Norway-based Telenor is transferring its assets to Airtel for free almost, and the wireless business of Tata Teleservices is doing the same too. Younger brother Anil Ambani-run Reliance Communications, which is reeling under a debt of around Rs 42,000 crore, is bowing out of the business with Jio set to acquire its wireless infrastructure assets. "Intense competition following the disruptive entry of a new player, legal and regulatory challenges, high level of unsustainable debt and increased losses had together caused significant negative business and reputational impact on the company," Aircel said in a statement. The firm said efforts to merge wireless business with another operator did not yield any results and had ultimately lapsed in September 2017. This was a reference to the merger with Anil Ambani-led Reliance Communications (RCom) that fell through at the last minute. "Post detailed discussions with the financial lenders and shareholders, the company could not reach consensus with respect to restructuring of its debt and funding. Despite these discussions and the invoking of a Strategic Debt Restructuring scheme in January 2018...no agreement could be reached," Aircel said. Under the current circumstances, resolution process under the Insolvency and Bankruptcy Code is an appropriate recourse, it said. The Rs 15,500-crore debt laden telecom operator with 85 million subscribers recently wound up services in six circles - Gujarat, Haryana, Himachal Pradesh, Madhya Pradesh, Maharashtra and Uttar Pradesh (West) with effect from January 31, 2018 - to improve focus on better the performing ones. Many postpaid and prepaid subscribers have been facing inconveniences due to disruption of services in the remaining licensed service areas like Andhra Pradesh, Assam, Bihar, Delhi, Jammu & Kashmir, Karnataka, Kerala, Kolkata, Mumbai, North East, Odisha, Punjab, Rajasthan, Tamil Nadu, Uttar Pradesh (East) and West Bengal. Further, there have been complaints of subscribers facing difficulties in porting their mobile number to other service provider. The Telecom Regulatory Authority of India (TRAI) will soon issue direction to troubled Aircel to keep service quality in check through intra circle roaming pacts, and grant it additional time and porting codes to enable its customers opt out to other networks. People in the know told PTI that the company wrote to the regulator late last week saying it is undergoing "deep financial stress" and the recent reports that it may file for bankruptcy have created a "chaotic situation" with its subscribers, distributors and retailers and partners, with whom the company has had a long standing relationship. Aircel has approached the regulator for extending the validity of additional port out codes to enable subscribers to move on to other networks without changing their number under mobile number portability. The TRAI is expected to issue suitable direction in the matter shortly asking the company to ensure service quality by improving network and working out roaming pacts-counter measures that have been mentioned by Aircel in its letter. To ensure subscriber convenience, TRAI is also likely to grant additional port out codes to Aircel with extended validity of 45 days instead of 15 days, which is the norm. Aircel did not respond to an email query on the issue. In its letter to TRAI last week, the company said it has been severely impacted by a major infrastructure provider shutting off as much as a third of its total sites in different circles or telecom service areas across the country. "We are working out intra circle roaming arrangements with other telecom service providers to help our subscribers remain connected," Aircel said.